“I will make you into a great nation, and I will bless you; I will make your name great, and you will be a blessing” (Genesis 12:2 NIV). “And all peoples . . . ” (Genesis 12:3b). “I will make you a light to the Gentiles” (Isaiah 49:6b NLT). “My name will be great among the nations, from where the sun rises to where it sets. In every place incense and pure offerings will be brought to me” (Malachi 1:11a NIV). “But when the set time had fully come . . .” (Galatians 4:4 NIV). “Greetings, you who are highly favored! The Lord is with you . . . You have found favor with God. You will conceive and give birth to a son, and you are to call him Jesus. He will be great and will be called the Son of the Most High. The Lord God will give him the throne of his father David, and he will reign over Jacob’s descendants forever; his kingdom will never end.” (Luke 1:28b, 30b-33 NIV). When it comes to the birth of Jesus, there’s so much hard- to-imagine stuff. The Christmas story actually begins with God making an unbelievable, impossible promise. The Lord said to Abram, “I want you to leave everything you know.” In other words, God said, “Abram, I’m involving myself in your story in an unstoppable way.” I sincerely don’t know how Abraham chose to trust God in that moment, but he did. It seemed clear that God’s promises to Abraham were a cruel joke. About 1,000 after God’s promises to Abraham, his descendants finally form the nation of Israel. For the first time, Abraham’s nation was in a position to do something significant in the world. David is followed as king by his son Solomon. 300 years later the northern kingdom, which held on to the name Israel, was invaded by Assyria. Then God sends another prophet, Malachi. Like Isaiah, his words seemed impossible. In every part of the globe where people worshiped, there would be a group of people who recognized the power of God. God’s promise to Abraham seemed as out of reach as it could possibly be. When everyone had lost hope in God’s promises, God was ready to bless every nation. With no one expecting it, God sent the angel Gabriel to Nazareth, a town in Galilee. Just like God’s promises to Abraham, what the Angel said next to Mary made no sense. In the end, God did exactly what He promised Abraham. The whole time, God was behind the scenes. He was getting ready for the thing He had planned from the moment sin entered the world and people needed a Rescuer. So who needs Christmas? 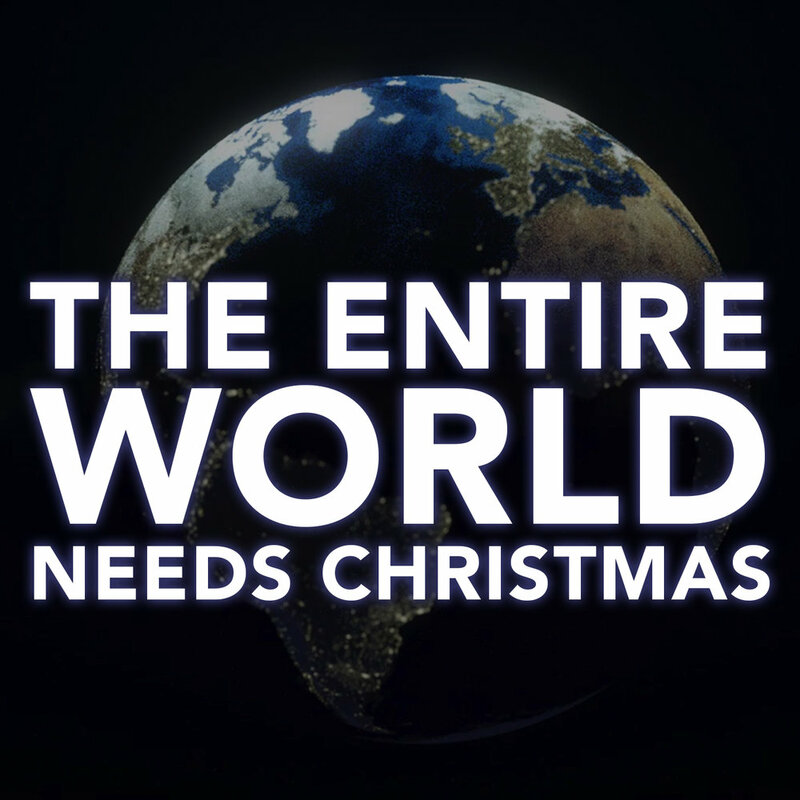 God decided that the entire world needs Christmas. Through Christmas—and the story of Abraham—we’re reminded that God is active, even when it seems like He’s not. God didn’t just send Jesus to be the Savior of the world. HE sent Jesus to be the Savior of you and your world. Christmas is a reminder that even when circumstances seem hopeless, God can be trusted. The world needs hope. It needs Christmas! It needs a Savior and a light!